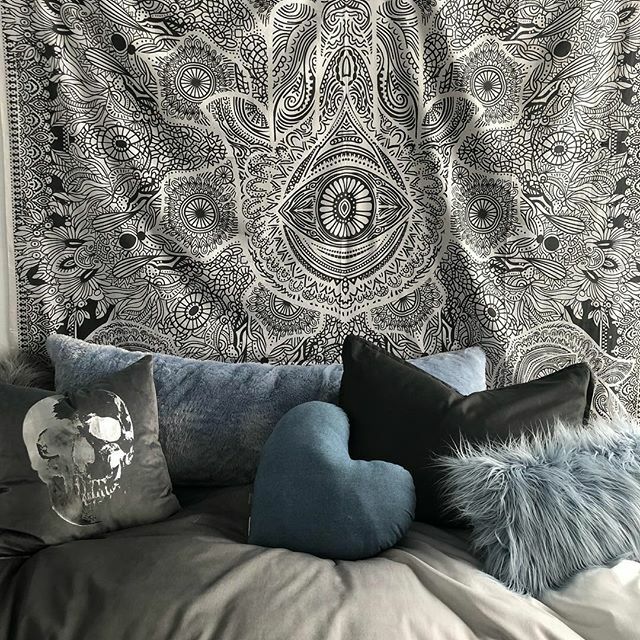 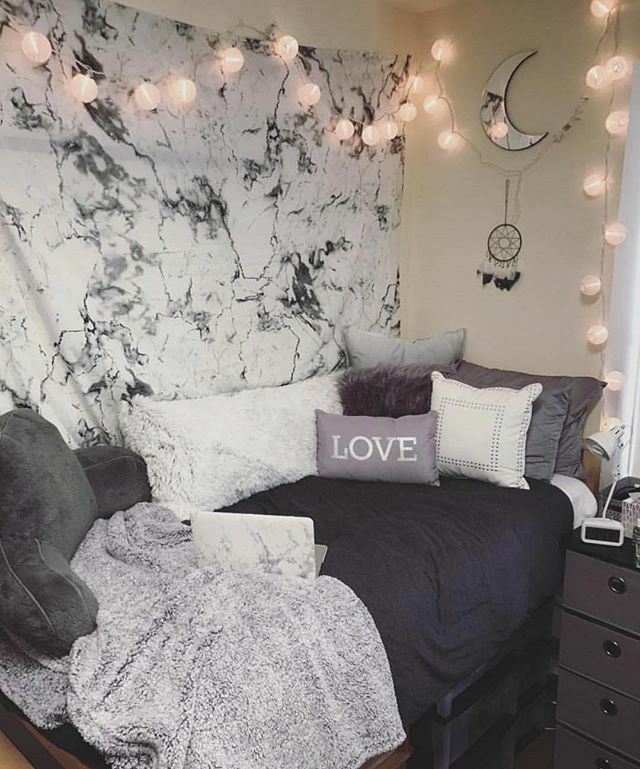 During the first 30 days, it was imperative to find as many influencers, lifestyle brands and Instagram pages in which Dormify's niche audience was engaged in. 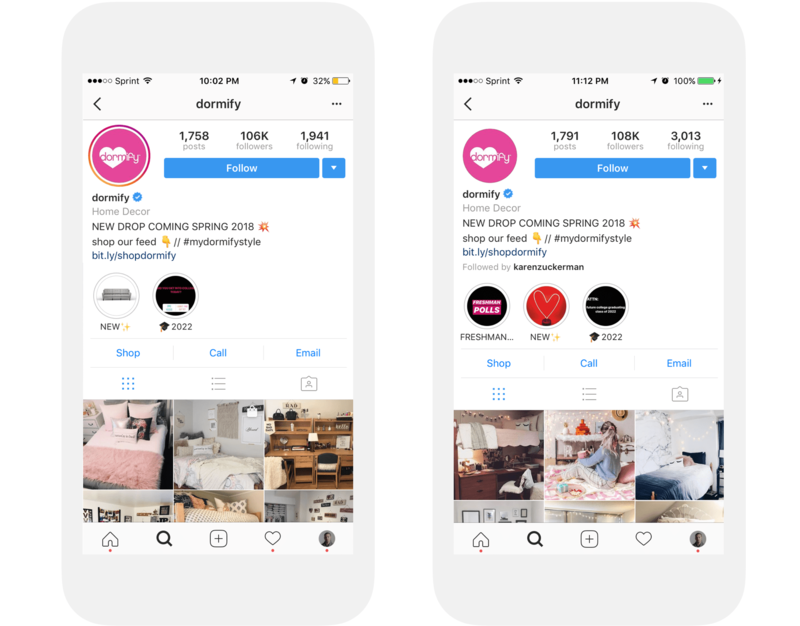 Once we pin pointed the targets, we were able to use our Audience Building Software to scrape the audiences of these brands, engage with each individual in order to gain their attention, provide value via Dormify's content and increase engagement and the click through rate on Dormify's IG. 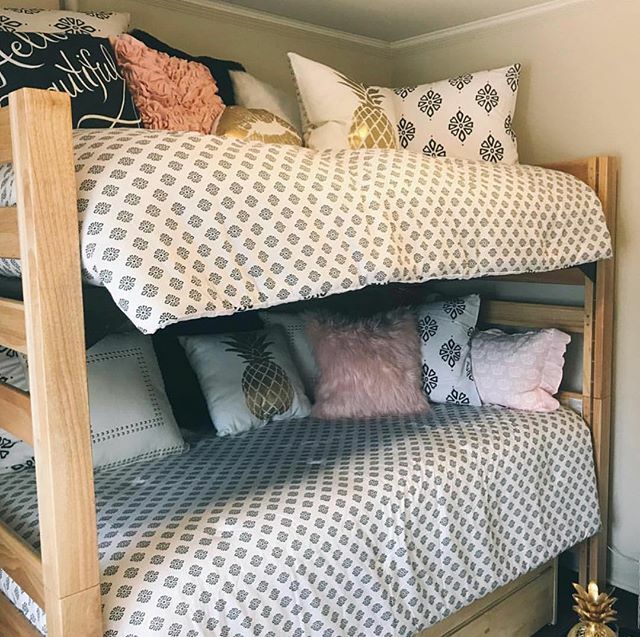 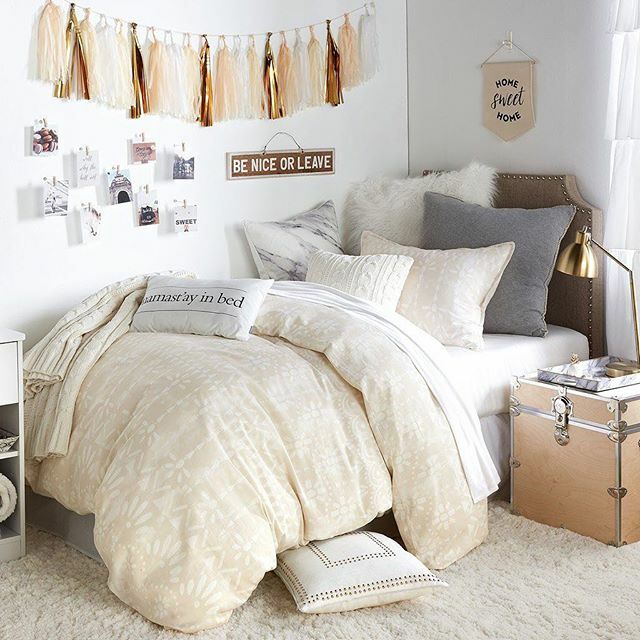 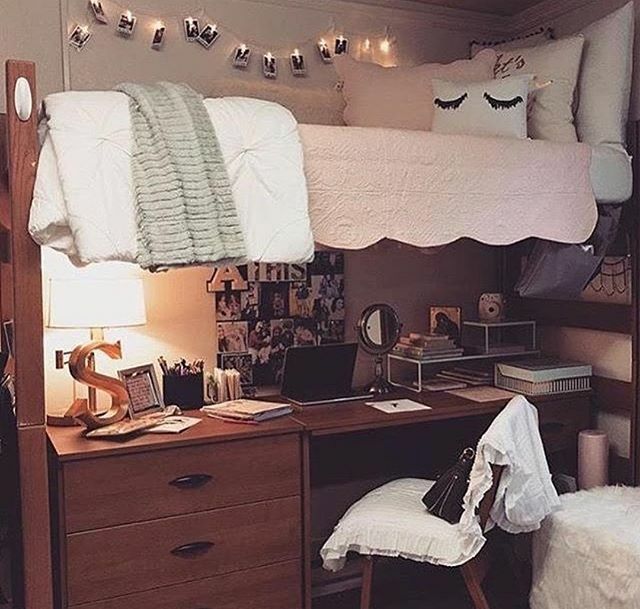 To help Dormify connect with their target audience, the freshman class of 2022 and College girls within NYC & Washington DC, GroceMedia profiled the perfect Influencers Dormify should partner with to reach their intended audiences. 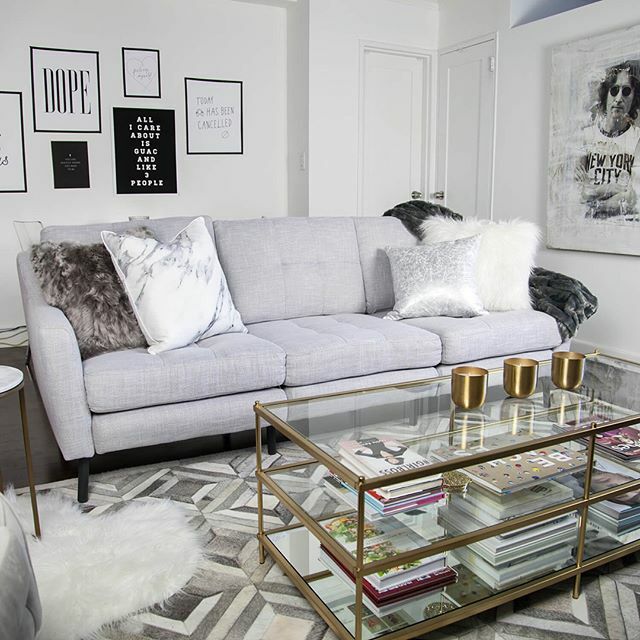 GroceMedia also used their Audience Building Software to find and target similar audiences in order to engage with them and introduce them to the Dormify Brand. 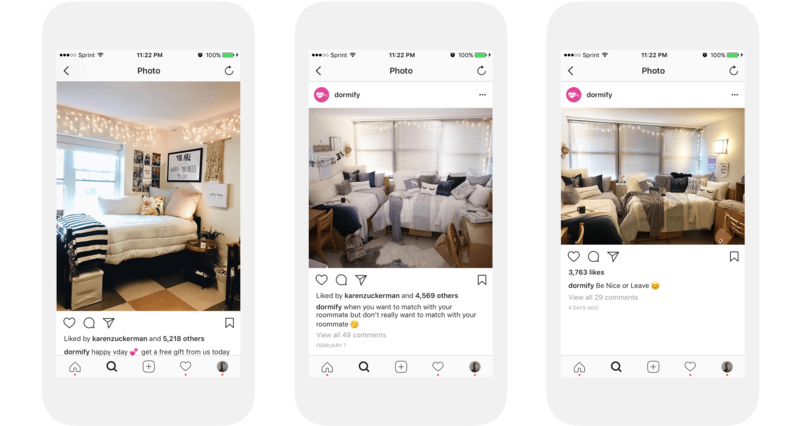 This helped identify where else Dormify's audience lives on Instagram in addition to helping their engagement and audience grow tremendously.